This is a beautiful Christmas jumper featuring a snowman with a 3D carrot nose and bobble hat. Specification:This is a beautiful Christmas jumper featuring a snowman with a 3D carrot nose and bobble hat. 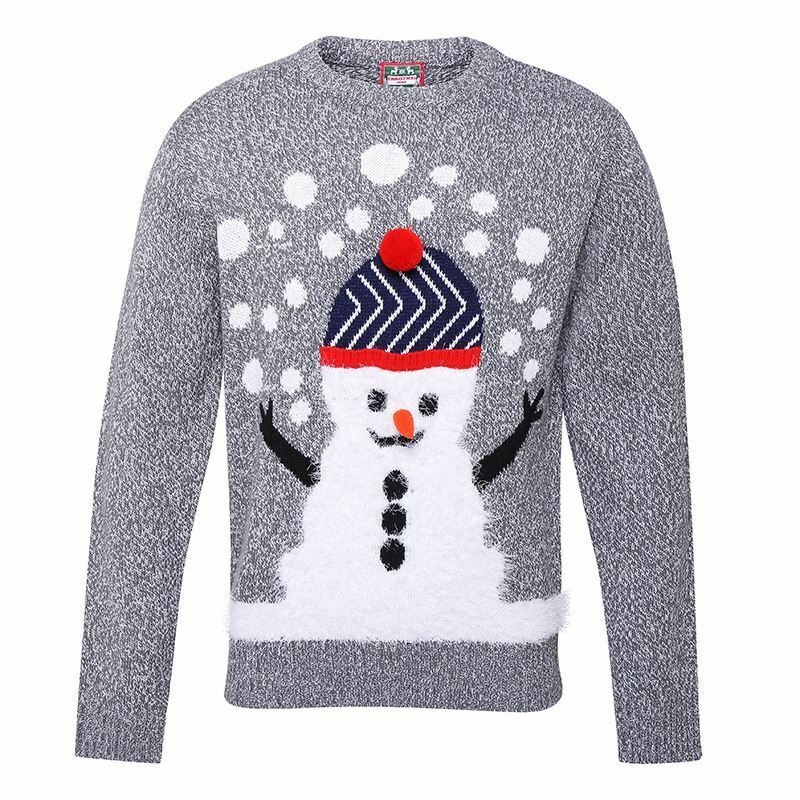 Our snowman is set against a fashionable Grey Marl knit with snowflakes and is styled to be unisex.